Do you use Google’s Google My Business? Then you’re going to love this local search update from Google. 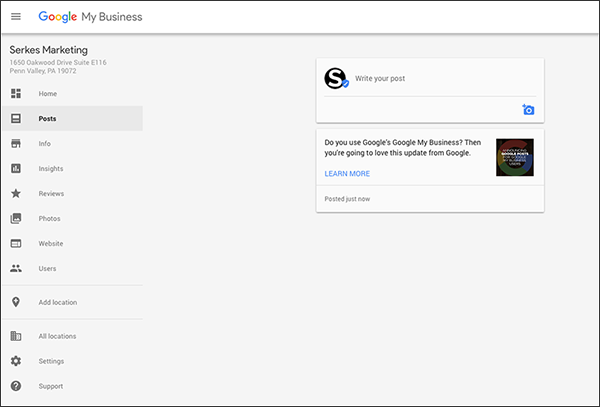 Google Posts is live to all businesses verified with a Google My Business listing. Google Posts is a new way for businesses to create and share content from their Google business page. You can share text, links, and images that appear in the Knowledge Panel with your Maps listing. To access Google Posts, login to your Google My Business account and click on “Posts” on the left-side menu. Or you can also access it by clicking Google here. Using Google My Business Posts to promote your business in organic results pages costs nothing. Think of it as a Facebook post, but with a much broader reach. Over 80% of users do online research before they make a purchase. 60% begin by using a search engine. Posts get information in front of people at the right time. Posts offer users a one-click motivation to learn about, buy or sign up for a product, service or event. Posts are part of Google My Business. Users can use the website or the app to post. Google Posts allow you to have a great face for Google. Posts generate backlinks and attention but don’t guarantee a high position. What’s maybe even more critical for your business is that you can link Google Posts to your website and use Posts on Google to drive sign-ups for your newsletters or get potential customers to specific product pages. Promote upcoming events and tell customers about upcoming happenings at your location. Google Posts will show up on both Google Search and Maps. They will appear in the knowledge graph to the right side of the search results on both mobile and desktop. You can share timely, relevant updates to help your business stand out to potential customers. And by using custom calls-to-action directly on your listing, you get to decide how to connect with your people. Here are a few need-to-knows that are helpful to cover up front. Use a 750×750 image with a simple-colored background and highly visible 42-point font size to turn it into a CTA button-style graphic. The text has a minimum 100-word and maximum 300-word limit. Google deletes your post after seven days to ensure the fresh content. The Knowledge Panel includes the first 80 characters. First, you will see your newest posts, and then the carousel includes will display the older ones. Only the first two posts show in SERPs, but Google will scroll up to 10 in a carousel. 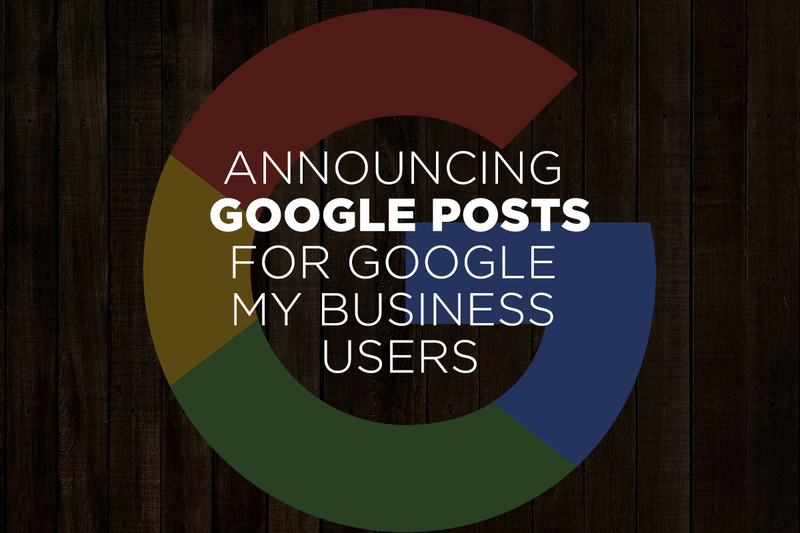 If you’re using Google My Business, you can start posting right now on Google Posts. 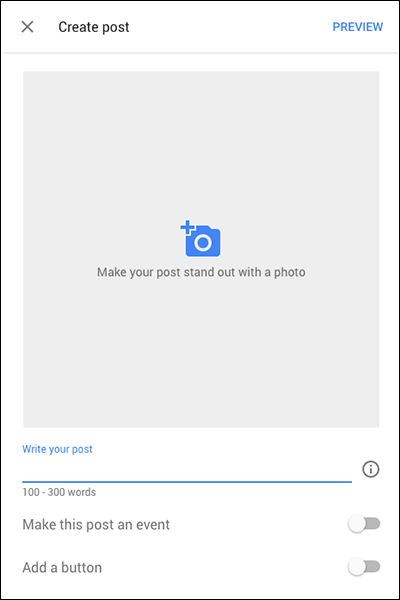 Need help creating content for your Google Posts? Read 6 Tools To Help You Battle Blog Fog now. If you’re not yet a Google My Business user, sign up and begin posting on your Google business listing. Get your business verified now so you can start posting.